The much anticipated debut album release from LA-based DREAMERS, titled “This Album Does Not Exist” is out now from Fairfax Recordings/Hollywood Records. Led by singles, “Sweet Disaster” and “DRUGS”, DREAMERS pits the party and the paranoia of escapism in effortlessly tight, three-minute tunes. Though the songs and delivery are spot on and seamless- one wouldn’t know they were written in a circus of chaos and instability. Frontman Nick Wold lived in a rehearsal studio for years, showering at a local gym and writing hundreds of songs. He recruited bassist Nelson and drummer, Jacob Wick, settled on the moniker DREAMERS, and began releasing their infectious tracks into the world with their independently released self-titled debut EP. Their breakout single “Wolves (You Got Me)”, landed in rotation on Sirius XM’s AltNation, and sat in the taste-making AltNation Top 18 Charts for months, all based on fan-votes. This sudden exposure in 2015 landed them not only a support slot on the Stone Temple Pilots run, but also a recording contract with Fairfax Recordings/ Hollywood Records. The band has continued to see strong support from AltNation, with their current single, “Sweet Disaster,” already receiving early spins from a host of other stations. It was top 10 most added at Alternative Radio in it’s first week. Co-produced by Kevin Augunas (Edward Sharpe & The Magnetic Zeros, Cold War Kids) and recorded at the iconic Fairfax Recordings Studios (formerly Sound City), “This Album Does Not Exists” marks the bands first full length effort and follows two much hyped about EP’s that garnered attention from the likes of Stereogum, Spin, Noisey, Billboard, NYLON, The Fader and more. Album tracks like “Painkiller” and “Lucky Dog” follow in this vein, swinging with handclaps and driving with sing-along choruses. Throughout This Album Does Not Exist, DREAMERS toys with themes of existence and existentialism, but it’s easy enough to get sucked into their world and dance the big questions away. Their electric live show has seen them circle round the United States upwards of five times and open for the likes of Young Rising Sons, Atlas Genius, Zella Day and Brazilian Girls, as well as making their festival debut at Lollapalooza 2016 in Chicago. The band were on the road this Fall with The Mowgli’s and Colony House, and have a handful of shows with acts such as AWOLNATION and Grouplove this December. 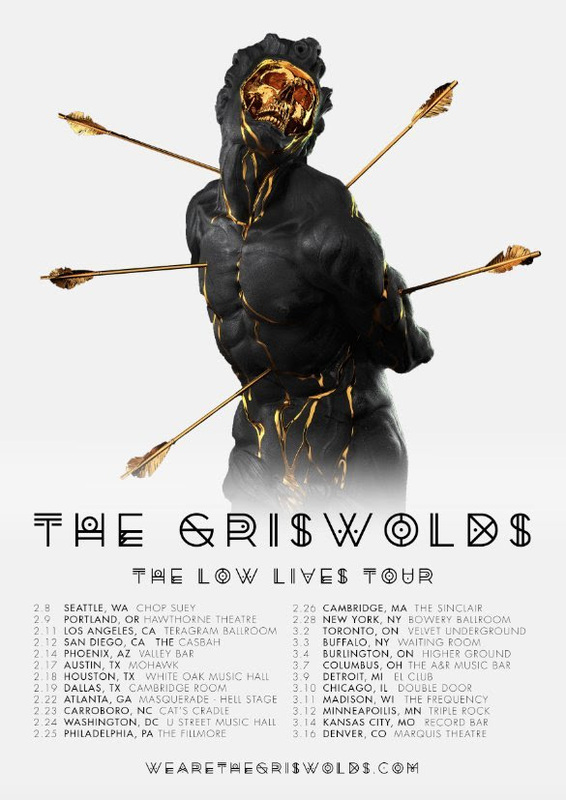 Today, the band announce they will be touring as direct support for The Griswolds this February.